Jakarta, 5 December 2013 - Wilmar International, the world's largest palm oil trader today announced a No Deforestation Policy in response to pressure from Greenpeace, NGOs and consumers around the world. The policy has the potential to be a landmark win for the world’s forests and the people that depend on them for their livelihoods. Over the last seven years, Greenpeace has repeatedly exposed Wilmar’s role in gross acts of forest destruction; sourcing from national parks, destroying prime tiger habitat, sourcing from suppliers linked to orang-utan ‘graveyards’ or this year’s forest fire crisis in Sumatra, to name a few. 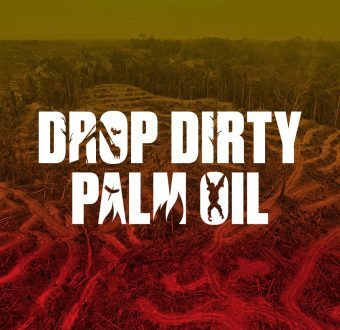 “For years companies, including Wilmar, have been hiding behind so called sustainability bodies such as the Roundtable on Sustainable Palm Oil. Greenpeace will be closely monitoring how Wilmar will put these words into action, and will welcome Wilmar’s immediate end to all trade with companies involved in deforestation. The gauntlet is thrown to other palm oil traders such as Cargill, Musim Mas and Sime Darby to release similar policies,” added Bustar. The palm oil sector is the greatest single cause of deforestation in Indonesia. Ministry of Forestry maps show that Indonesia is losing some 620,000ha of rainforest every year between 2009-2011 (an area greater than the size of Brunei). Palm oil’s expansion into New Guinea and Africa is already threatening forests, sparking controversy and conflict with local communities.